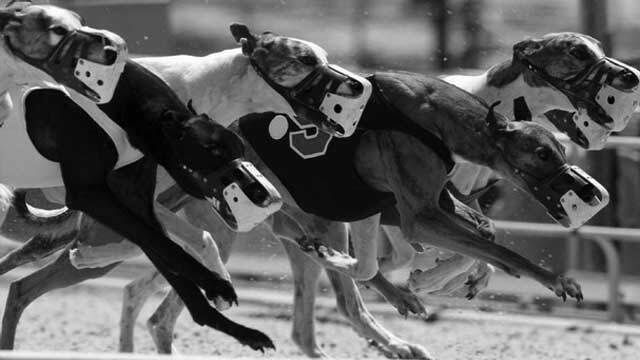 Cross Lanes Dog Track is the premier location for live greyhound racing. It's where the all the action is. Greyhound racing fans can feel good about coming to the Cross Lanes dog track is because the greyhounds are nurtured and cared for by leading dog racing experts and specialists. The greyhounds are also given the finest medical and nutritional attention so when they are ready to retire, they can become the perfect pet or companion. The track expanded its casino offerings in 2008, as casino gambling was legalized in 2007. It currently has a large poker room, and offers the table games of blackjack, roulette, craps, three card poker, four card poker, Mississippi stud, Double-Up Blackjack, Double Draw Poker, Big 6, Let It Ride and sic bo. Capture the thrill of breathtaking Greyhound racing excitement at the Mardi Gras Casino & Resort. Dine on succulent steak or seafood at the Grill at First Turn while watching the races or as you eagerly wait for the final Greyhound racing results to be announced. Mardi Gras Casino is one of the only West Virginia racing establishment that allows you to bet, dine and win-all in one place. What sets Mardi Gras Casino & Resort apart from other dog tracks is that Mardi Gras offers ongoing dining and drink service along with both live and simulcast racing-right at your table. There's never a lull in excitement; after watching a few races you can hit the slots or try your hand at poker in the Big Easy Poker Room. You can wager, play, win, dine and even stay at the Mardi Gras Casino & Resort.